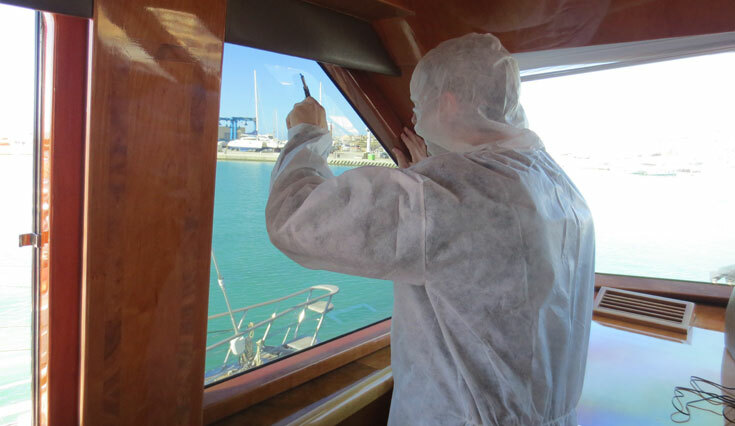 M/Y Restless window tinting to reduce heat to bridge. 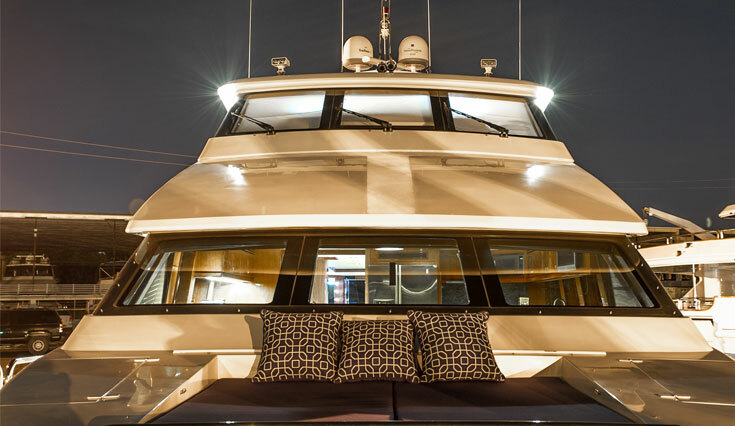 The yacht’s bridge was getting too hot in the summer and with a busy charter season ahead in Turkey the captain turned to Wild Group for a solution. A specialist film with excellent heat rejection properties was applied. Sicily. 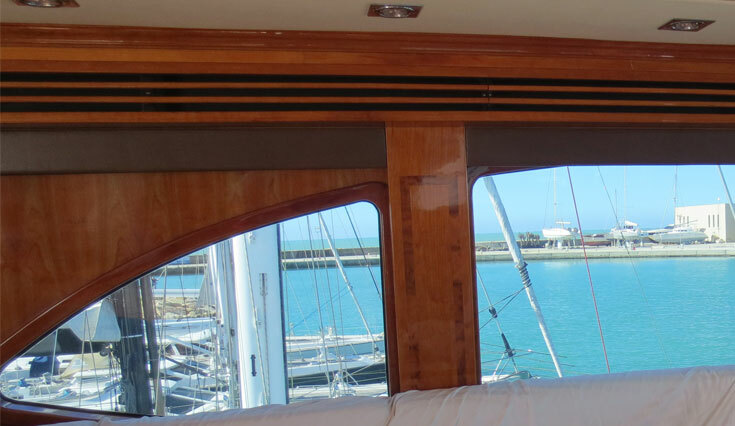 …and after a season at sea… captain continues..
M/Y Restless’ was built by Hargrave in 2005.